In response to Jon Stanhope‘s comments in this article from The Canberra Times. 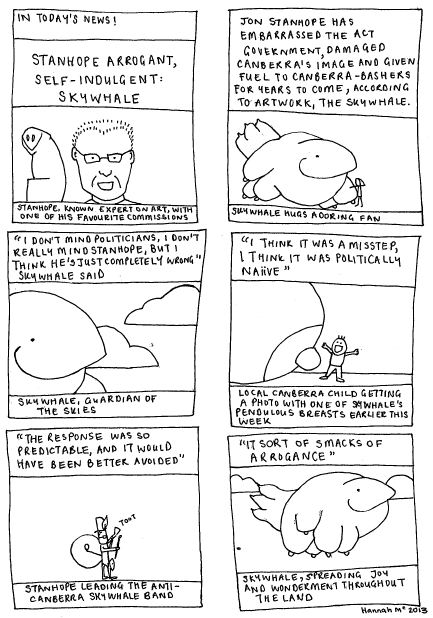 See here for more of my thoughts on Skywhale. This entry was posted in Pop Culture and tagged art, Canberra, Skywhale, Stanhope by binarythis. Bookmark the permalink.